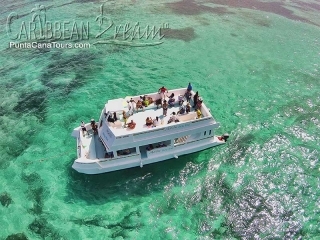 Do you want to sip wine, in a relaxing atmosphere, with the Caribbean breeze in your hair? If so, Malibu Party Boat is NOT what you want! You'd be insulting our speaker system! Malibu Party Boat is Punta Cana's ultimate charter for bashes and blowouts. It's party time not tea time! • Cascading Open Bar! Rum and Beer (as much as you can chug-a-lug). We also throw in some soda and water for any lightweights. 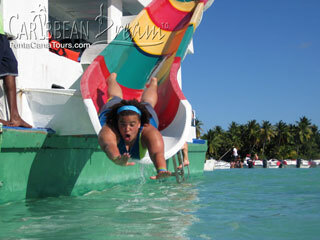 • The Slosh Slide! Only those who down a Beer are permitted. 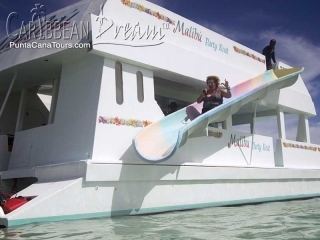 Malibu is the ONLY party boat in Punta Cana with a slide. • The Base goes Bom, Bom, Bom! One DJ, Three Loudspeakers, Subwoofer, and 1,000 Watt Amplifier. Your party just became the center of attention in Punta Cana. • Let there be Grub! Chips, Dip and Fresh Fruit. Drink, Eat and be Merry! • The Crew! The Malibu's Crew gets the party started and keeps it going: downstairs, upstairs and in the water. 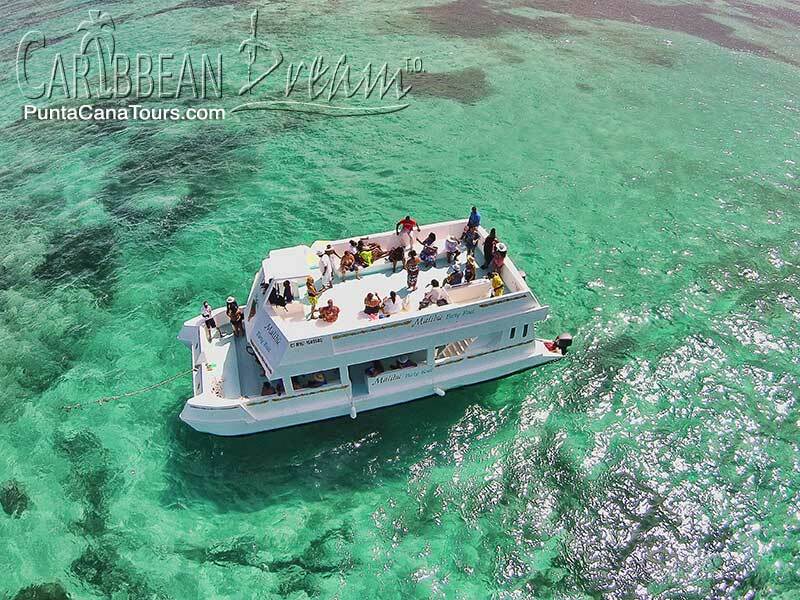 • We stop-over at an offshore reef for some serious snorkeling. Can visibility be this good under water? In Punta Cana it is! • Cruise the Punta Cana Coastline. Let others envy your party. • Take over the Natural Swimming Pool. We anchor at a sandbar with waist-deep waters and drop the beats. 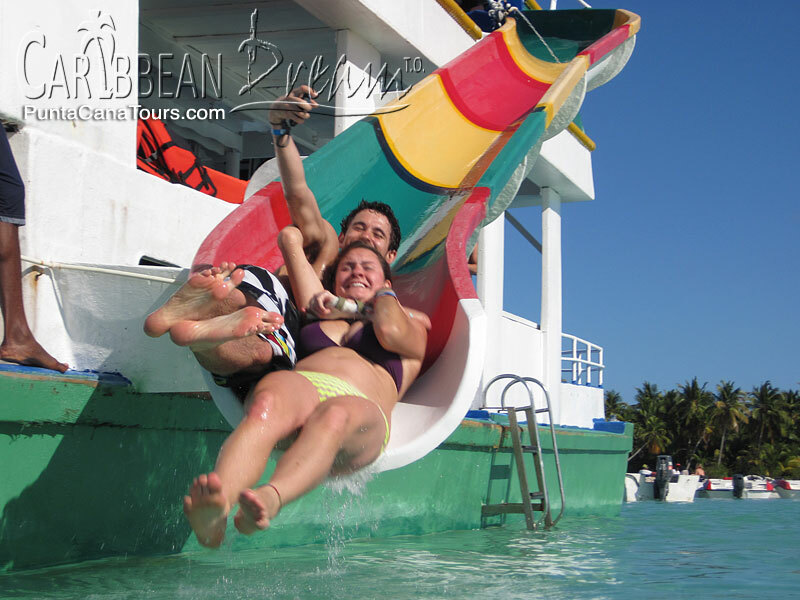 Hit the bar and hit the slide! Oh, and we serve you drinks in the ocean… ya, it' like that. Count with me now... One, Two, Three hours of non-stop partying! 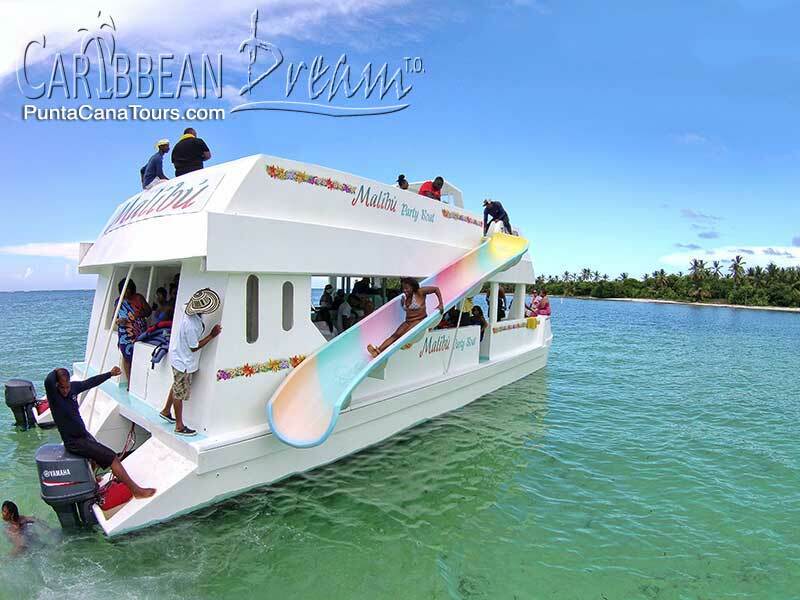 There is only ONE Malibu Party Boat for ALL of Punta Cana. Availability is first come first serve so make sure your date is available by contacting us today. You have one shot to do this the right way. Will you ever be back to Punta Cana? 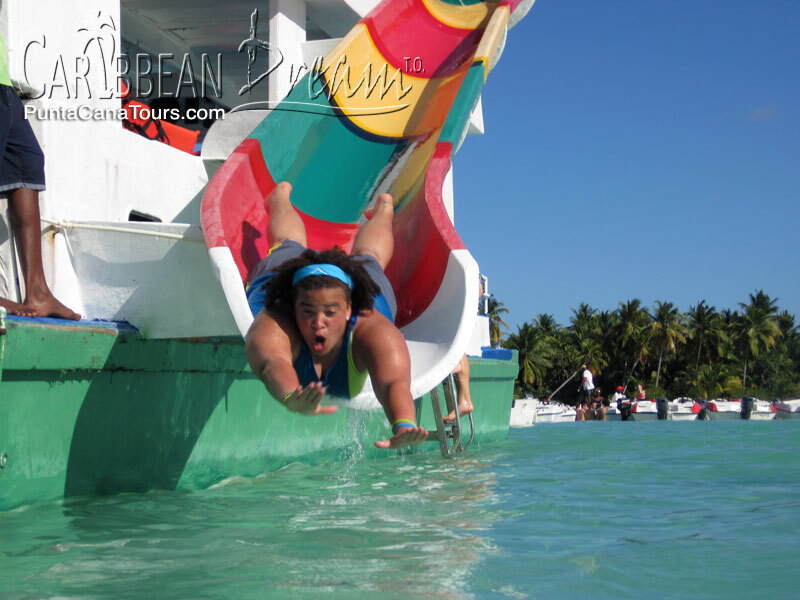 Make your Punta Cana Booze Cruise Epic! This charter includes fruit, and chips and salsa, but there is the option of adding sandwiches, chicken and beef kebabs, or langustinos with sides.